In the days before endless TV replays few among the Dublin crowd or at home were aware giant French lock Jean-Pierre Bastiat narrowly escaped being sent off in the 9-9 draw despite spitting in the face of Ireland lock Mick Molloy in front of referee Air Commodore Larry Lamb. Lamb said that Bastiat had tried to provoke Molloy who refused to respond. "I then heard Bastiat clear his throat and spit straight in Molloy's face. It was frightful. I had no hesitation in awarding a penalty and warning Bastiat he would be sent off." The penalty allowed Ireland to level the scores and afterwards French officials were deeply apologetic. Bastiat had been dropped the previous year for rough conduct against Wales. He went on the captain France. 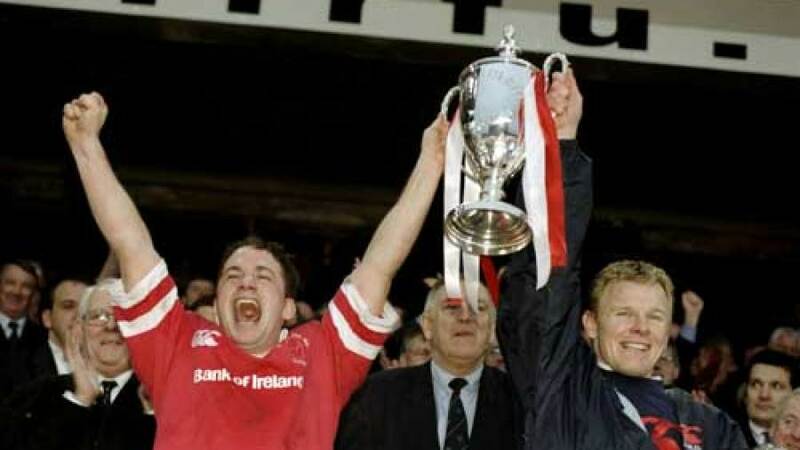 Lansdowne Road staged its first Heineken Cup final and fittingly Ulster became the first Irish side to lift the trophy, beating Colomiers 21-6 in front of a sell-out crowd of 49,000. English clubs had opted out of the competition due to a dispute with tournament chiefs, but Ulster nevertheless faced a fearsome challenge. Toulouse lost home and away to Humphreys' men and Stade were sent packing in the knock-out stages. Simon Mason was the match-winner in the final, landing six penalties to go with his captain's drop-goal. New Zealand beat England 5-0 at Twickenham through a first-half Nelson Dalzell try converted by Bob Scott. "Gallantly though England's hopelessly outweighted pack battled throughout the 80 minutes, the writing was always on the wall," noted the Daily Express while praising the "mechanical crash-tackling" of England's determined defence.The Wales-Scotland match at Swansea scheduled for the same day was postponed owing to frost. England skipper Bill Beaumontlimped off three minutes before half-time the County Championship final with a recurrence of a long-standing neck injury. Several England team-mates took to the papers to urge him to quit. "He's got nothing to prove after leading us to the Grand Slam and captaining the Lions," said John Carleton. Beaumont withdrew from the following weekend's game against Ireland and Twickenham and quit the sport on medical advice ten days later. The touring New Zealand Natives (known as the Maoris) enjoyed one of their best victories, beating Devon County 12-0 at Exeter. Skipper Joe Warbrick scored his only points of the British leg of the tour, converting one of the visitors' seven tries. With just over a week to go to their annual match of the season against The Army, the Royal Navy won an undistinguished match against Hampshire 11-0 at Portsmouth. England Saxons ran in ten tries as they cruised past Portugal 66-0 in their clash at Edgeley Park. Scrum-half Harry Ellis gave England manager Martin Johnson a timely reminder of his quality with an impressive two-try display as the hosts outclassed their continental visitors.